Whether it’s January, June, or December, every month is perfect for Chicken Soup with Rice! In this beloved classic, Maurice Sendak blends his signature artwork with rhymes you’ll want to read over and over—in every season. 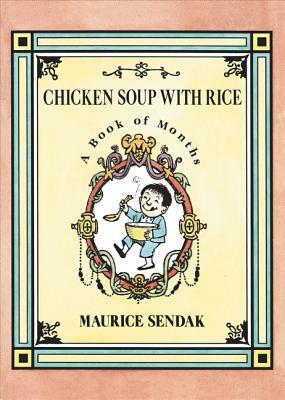 Chicken Soup with Rice, along with the other three classic Nutshell Library titles (Alligators All Around, One Was Johnny, and Pierre), is the first board book edition of Maurice Sendak’s original work. You loved Nutshell Library as a miniature collection, and these large board books will make it even easier for children to share with their grown-up readers.